With todays hectic schedules it's harder than ever to find the time to fit everything in. 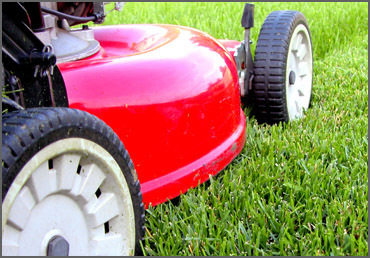 The average homeowner spends hours mowing, trimming, fertilizing, raking, weeding, and caring for their landscape. Let us perform these tasks for you so you can enjoy your day. 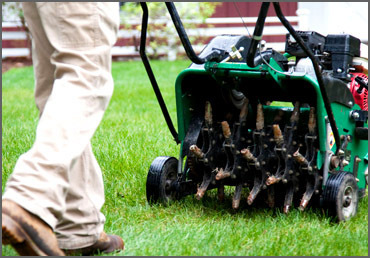 Aerating provides many benefits including, less soil compaction, less watering needed, better fertilizer absorption, and encourages deeper root growth which makes the grass much more durable and drought resistant. 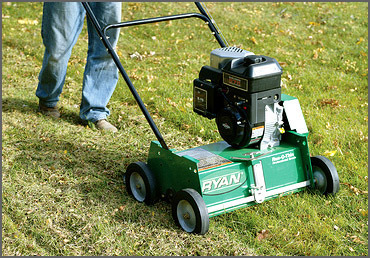 Power raking your lawn removes unwanted thatch and debris that has accumulated deep down in your lawn. This allows the lawn to exchange oxygen better and allows fertilizer and water to more easily reach the root system. 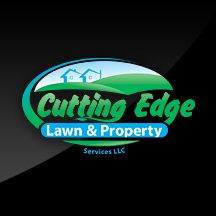 At Cutting Edge Lawn & Properties, we want you to be very happy with our work and we are very dedicated to exceeding your expectations. We truly care & want your lawn not only to look good but to be healthy too. We’ll get you there based on what your lawn needs at an affordable rate.